I think this was my worst buy ever! It’s so bad I couldn’t even believe that in todays DNA-age one can even attempt to scam people like this. Here is my terrible online retail experience with Urshu snow boots Groupon offer. 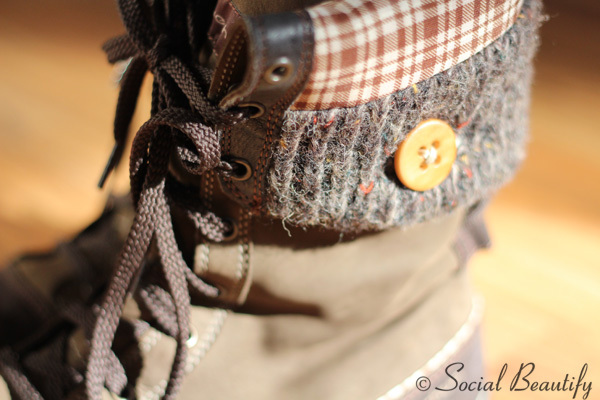 This is the worst, tackyest , and cheap pair of snow boots my eyes have ever seen. That’s not why it’s the worst buy of my life though, oh no! This would be too simple. I may not like them, think they’re cheap, they’re tacky but someone else might think it’s a decent product. All made of plastic priced at the web site at £60. One would think it will be something at least half decent. What scares me is that the company can have the cheek to send me a product, which I haven’t even ordered “so I don’t miss out on this amazing offer” and when I email them asking for a refund I hear nothing back. I think this might be the part of the companies policy to ‘make sure their, customer doesn’t miss out on this uhymmm amazing offer’ and they don’t loose a penny. So let’s start form the beginning. Few of my friends were using Living Social and Groupon for a while so I thought I will also give it a go. Living social is so far so good. Groupon, well I don’t think I use it again. I think they should be more careful what companies they collaborate with. I had only one very unpleasant experience. Bad enough to put me off from trying any other offers. Why risk it if I can use a competitive brand and feel more secure. Probably about 3 months ago there was an offer on snow boots on Groupon. (Haven’t vented here until now as I really was trying to give them a chance to fix the situation). As I was going for my first ski holiday at the start of this year I thought it was a fantastic offer to gat a pair of £60 snow boots for £20 plus postage. Before I bought the deal I looked at the website to see if there are any styles that I like and I found a couple. One night I couldn’t sleep so I made myself a cup of tea and went to my laptop to do some writing, as you do in the middle of the night. As I opened my laptop I received an email informing me that my deal has just gone live and now I can order them from the website. Of course I bought them straight away as I was interested only in one design to make sure I buy it before others do. To ensure the boots would fit, I ordered size bigger than my usual boot size. I thought that I can always wear thick socks. Now I only had to wait for the delivery. So imagine my face when four weeks later I got a packet and inside there is a totally different pair of boots. With a small piece of paper saying that they have run out of stock so they have sent me a different pair “so I don’t miss out on this amazing offer”. That wouldn’t even be so bad if I could wear them. 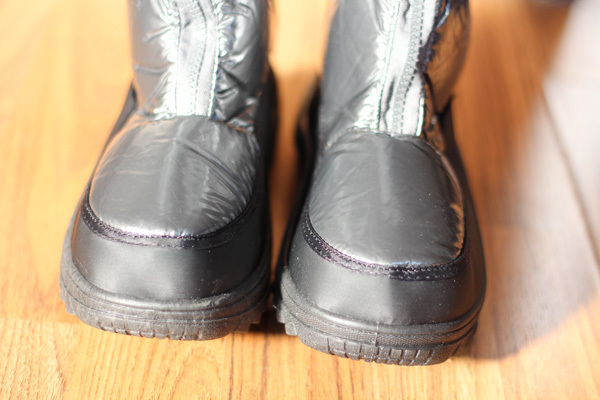 These boots are about 3 sizes too small, so I really don’t know what sort of measurements the size guide based on, to claim it’s a size 7 shoe. (As I mentioned before I ordered a size bigger than my usual size to be on the safe side). Not so safe after all. Firstly, why was I even able to order a product online that was already out of stock? This is beyond my understanding I’m afraid. Yes I know most online retails do tell you when the stock you’re trying to order is out of stock. Now you should know that the refund policy with Urshu isn’t that straight forward. There’s no return address no label on the packet nor a refund receipt. You have to contact Urshu via the web site and ask for the refund. What I have done. Heard nothing in return. So I sent another email. No response! I suppose most people will give up right? It’s £20 so it’s not an awful lot, is it? I have anyway and bought another pair of snow boots also size 7 that fit me. Not worth all the stress and the hassle. I wonder though how many Urshu snow boots deals were bought on GROUPON? How many people received a cat in a bag? I just can’t believe how this company exists on the market without taking any consequences from obvious abuse of their customers. Shame as due to my experience with the Urshu offer on Groupon. I won’t be using Groupon offers in the future. My new pair is from Quechua priced at £70 made of real leather not PVC, water resistant and able to keep my feet warm in temperatures down to -23 degrees Celcius. 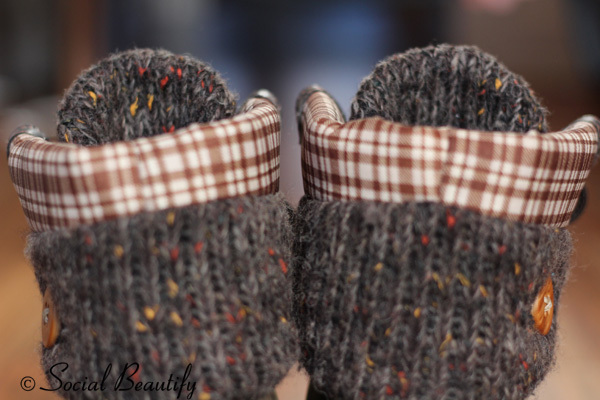 They were perfect during my winter escapades. I genuinely recommend them. 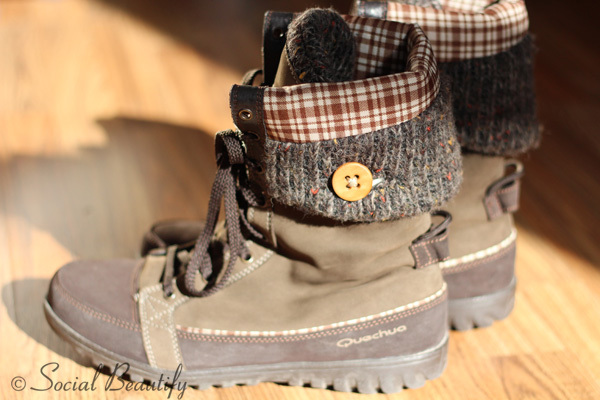 Quechua snow boots. Warm, comfortable and not slippery at all. So the moral of this story is! Don’t buy anything from the Urshu web site! If it turns out being c#@p you won’t be able to refund it. Lauren from Lauren Loves blog also got a pair from Urshu. She found that the company set up the web site only for a purpose of the Groupon offer. Have a look at her blog post it's very interesting. What was your worst buy? 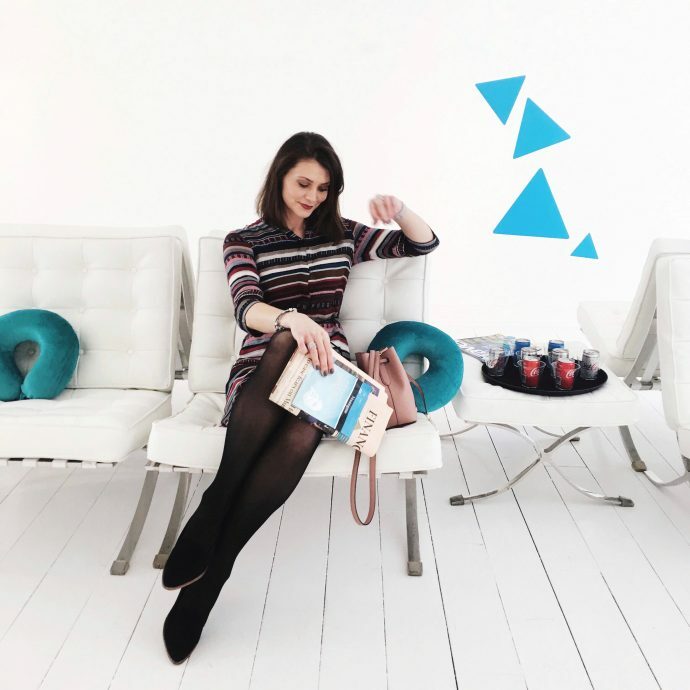 Have you ever had a horrible online or retail experience, which put you off a brand or a retailer? I've learned my lesson and in the future I'll make sure to research online retailers a bit better. 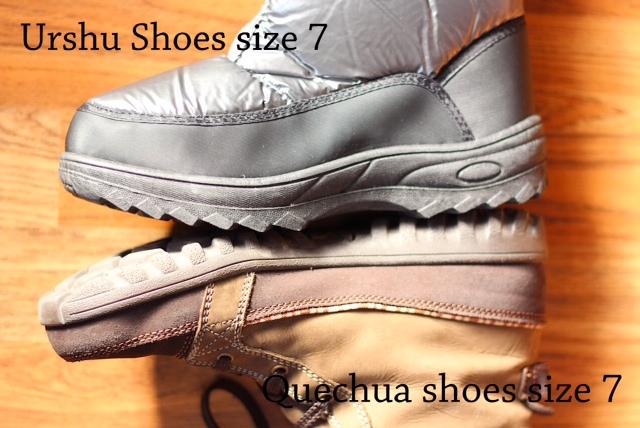 Here is the link to the page that sells Quechua boots. THESE ARE THE GOOD ONES! Before you go don't forget to join my email subscritpion! Simply pop your email address in the box on the right hand side of the page and you will recieve all new posts straight to your mailbox. How to shop for a foundation, to get it right and not look like an Umpa Lumpa! They also sell your email address to spammers and scammers. I wouldn’t be surprised if that’s their business model. How do you know John? Have you bout that offer too and found yourself receiving loads of spam afterwards? Christmas 2015 and Urshu are still as bad as they were. DO NOT BUY FROM THEM!! OMGosh, I’m sorry to hear that. I can’t believe they’re still going. I hope you’ll find decent pair somewhere else, which you’d like. Thanks for taking your time to comment, it keeps us all informed and hopefully will save others a hassle.